Don’t have a plan for this weekend yet? The Riviera Nayarit offers the perfect combination of services and accommodation plus the ideal ambiance for a family getaway. Although it’s a destination with a luxury aspect that attracts celebrities, it’s also great for families, whether they choose a beachfront all-inclusive complex, a luxurious suite in a famous international branded resort or a cabin in the mountains, far from the crowds. Below please find 10 excellent options for travelers who are looking for a relaxing vacation close to nature accompanied by their closest loved ones. The exclusive and spectacular villas at Vallarta Gardens Resort & Spa, a boutique beach resort located at the entrance to La Cruz de Huanacaxtle, boast the highest standards in quality and service. The Hamptons building is the standout in this group of villas: it is five stories tall with one-bedroom and studio units impeccably designed and with perfectly distributed interiors. Marival Residences Luxury Resort, located in the Riviera Nayarit’s Nuevo Vallarta area, has ample all-inclusive residences for small families or couples looking to experience the luxury, class and comforts of paradise. The residences have one bedroom, the best amenities and a modern design, as well as an ample open terrace with views to the ocean, pool or gardens. Truly spectacular! 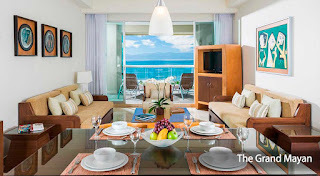 Travelers will no doubt fall in love with this hideaway: a spectacular one-bedroom suite with a gorgeous view of Banderas Bay, a new definition of luxury. 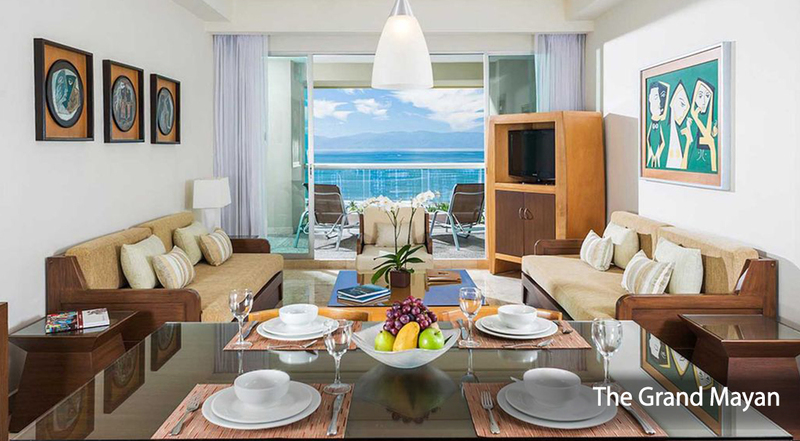 Villa La Estancia Beach Resort & Spa in the Riviera Nayarit offers personalized service in every detail, reflected in the master bedroom with its King sized bed, spa bathroom and a fully equipped kitchen, as well as a completely furnished balcony or terrace. The Club Platinum Grand Presidencial Villa at Grand Sirenis Matlali, is a marvelous place for family and friends, with extraordinary views of the crystal blue waters of the Pacific. The villa has room for six people in over 176 m² of space with a grand living room connected to a fully equipped kitchen, a dining room, an impressive master bedroom and second bedroom and, of course, an ample terrace. 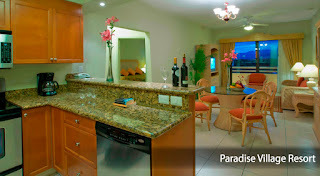 Paradise Village Beach Resort & Spa is a five-star tourism development with its own marina, a spectacular golf course and a first class spa, which is why its family villa is just as grand as can be expected. Whether it’s in the Tonina Tower or the Caoba Tower, the villa will have a well-equipped kitchenette and a balcony with a garden view, as well as proximity to the pools, the beach and the restaurants. The suites at the B Nayar complex, located at the crossing in La Cruz de Huanacaxtle in the Riviera Nayarit, are equipped with the best of the best the visitor needs to feel right at home. And besides the top of the line amenities, the villas are ample and modern with three bedrooms, a terrace and a Jacuzzi in the master bedroom. 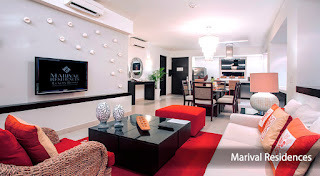 The also have a Concierge to offer the visitor qualified personalized service. This is a beautiful villa located right across from the Pacific in the residential area of Rincon de Guayabitos; it was converted into a vacation complex without sacrificing comfort and luxury. It has seven bedrooms and one bungalow, all beautifully decorated in bright colors that reflect the typical Mexican décor, as well as a unique design that offers the visitor the experience of living in a Mexican home. 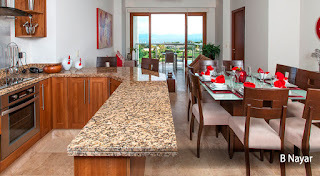 Villa Bella’s La Patrona Master Suite has one of the most spectacular and complete views of Banderas Bay. It has room for four people and is very intimate and discrete, but with a great location and size. 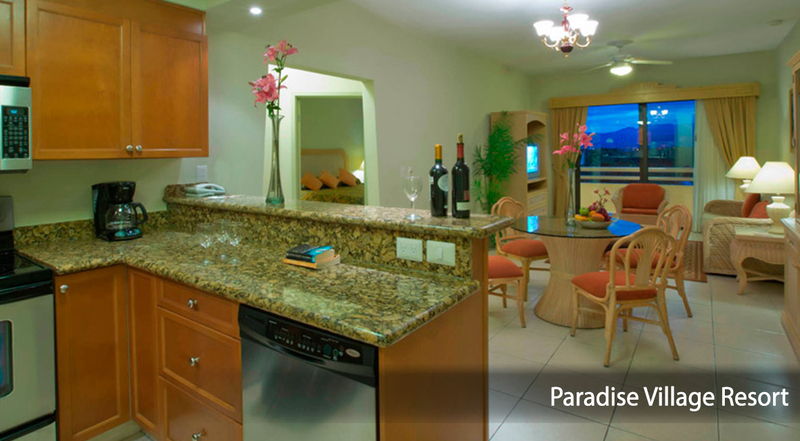 Its exquisite design incorporates tasteful details and Mexican colors offer the ideal ambiance for a relaxing vacation in the magnificent Riviera Nayarit. From its magical entrance to its fun Lazy River, The Grand Mayan Nuevo Vallarta is the perfect place for the tourist to enjoy some time away from it all, with ample space to relax and reconnect in paradisiacal surroundings. The two-bedroom suite is great for 6 adults and two children in a fascinating and comfortable space. It has two King size beds, two bathrooms with Jacuzzi, a living room with dining room and kitchen, plus a private terrace with a small pool. 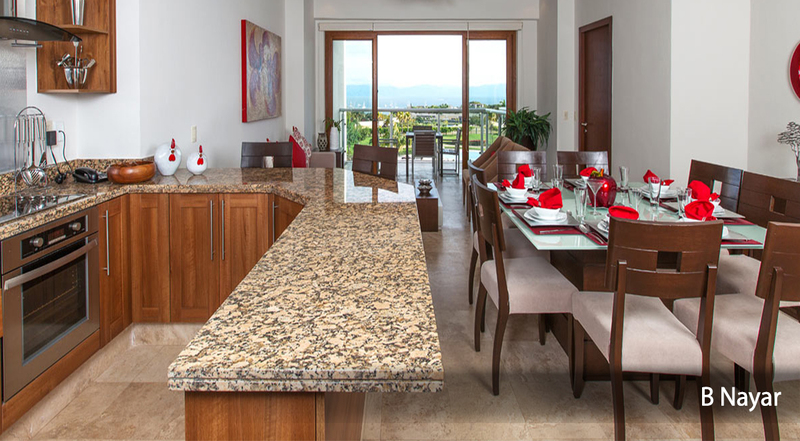 The magnificent and spacious Four Seasons Private Residences Punt Mita were made to impress. Upon entering, the visitor will be wowed by the open concept living and dining area that frames the imposing view of the Pacific Ocean. This private residence has three bedrooms with ocean views and offers everything you need to enjoy a relaxing tropical escape, including a plunge pool and private terrace, plus luxuriously appointed interiors.